Inspired by the Uncarved Block of Taoist philosophy, Jeremy Solomons & Associates (JSA) helps current and future leaders to realize the incredible potential that is within each of them by connecting with their inner strengths, talents, values and goals and engaging and communicating effectively with the expanding, complex world around them. Founded in Washington, DC in 1991 and now headquartered in Austin, Texas, JSA is one of the one per cent of independent entrepreneurial organizations that has survived and thrived for over 20 years. We pride ourselves on doing the right thing in the right way at the right time every time and we see every initial client contact as the start of a committed working relationship over the long haul. JSA is ready to help whenever needed in whatever way possible. Jeremy and every one of his trusted, hand-picked associates have extensive experience in the broad, real world of business, non-profits, government and academia and we bring a pragmatic expertise to everything we do. We do not have “off-the-shelf” solutions as we do not have “off-the-shelf” clients. Through detailed needs assessment and painstaking research, we ensure that we satisfy the unique and complex needs of each client in the most timely and cost-effective way. We respect our current and potential clients’ busy schedules by only communicating as necessary in a timely, proactive and efficient way. For further information, please contact Jeremy Solomons. 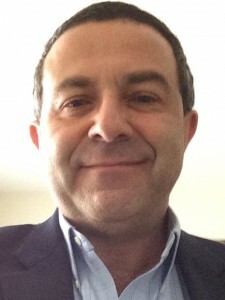 Jeremy Solomons is the UK-born and USA-naturalized founder and president of Jeremy Solomons & Associates, which helps current and future leaders to connect and communicate effectively across all cultures – geographical, organizational, professional and individual. From his base in Austin, Texas, he coaches, consults, designs curriculum, facilitates and trains in the areas of: Career/Life Planning; Creative and Whole-Brain Thinking; Cultural Excellence; Difficult Conversations; Diverse and Dispersed Teams; Performance Feedback; Post-Merger Integration and Synergy; Strategic Planning; Well-Dressed Presenting and Naked Facilitating. Since moving permanently to the USA in 1992, he and his associates have worked directly and indirectly with many globalizing organizations across North America, Europe and Asia. Born in Manchester, England – home of the Industrial Revolution and Manchester United – Jeremy holds MA and BA Honors degrees in French from the University of Oxford (Brasenose College). As well as speaking mother-tongue English, he has been fluent in French, German, Italian and US American, and proficient in Spanish and Texan. He has also studied ASL, Cantonese, Hebrew, Russian and Swiss German. Jeremy is adjunct faculty at the University of Texas’ Professional Development Center in Austin, TX; the Intercultural Management Institute at American University in Washington, DC; and the Centre for Intercultural Communication at the University of British Columbia in Vancouver, BC. He is an advisory board member of the Multicultural Refugee Coalition, where he served as the elected executive board president for the year of 2011. He is a sustaining member of the local public radio station, KUT, and has served as an advisory board member of the African Leadership Bridge. As well as his 18-year-old daughter, Emma, he loves live dance and theater, leisure travel, good food, fast walking around Town Lake and both watching and playing soccer/football (to work off the good food).